Rear wind screen - X3 full rear mesh screen reduces windshield backdraft for added cabin comfort. Full rear mesh screen reduces windshield backdraft for added cabin comfort. 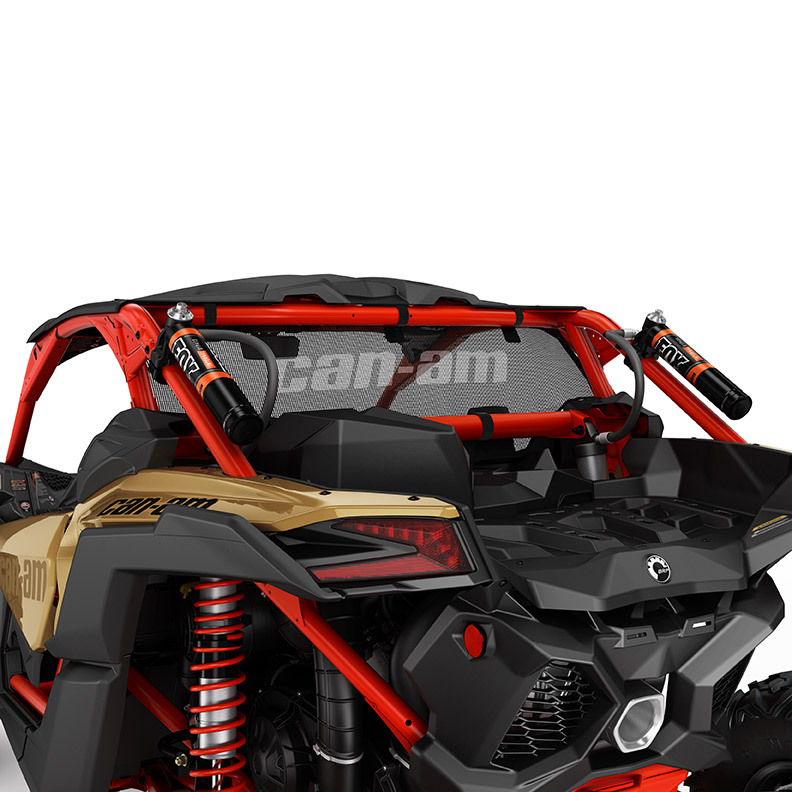 Large white Can-Am logo on black mesh.